Artist collective Bernadette Corporation first infiltrated the worlds of fashion, film and magazines in 1994. Composed of different members over the years, the New York collective challenges the strategies deployed by these industries, replacing them with alternative systems. 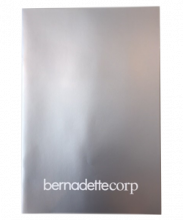 Bernadette Corporation has cultivated a mystique around its collective by adopting the form and tactics of a corporation, staging ‘secret’ events, and authoring a collaborative novel. In 2015, the Stedelijk purchased an important group of works by the collective – videos, photos, fashion designs from their Autumn/Winter 1997 collection, and a floor sculpture from their underground film project Pedestrian Cinema. These acquisitions will be presented in gallery 0.7, as part of the Stedelijk Museum’s 2016 exhibition program featuring a young generation of artists.